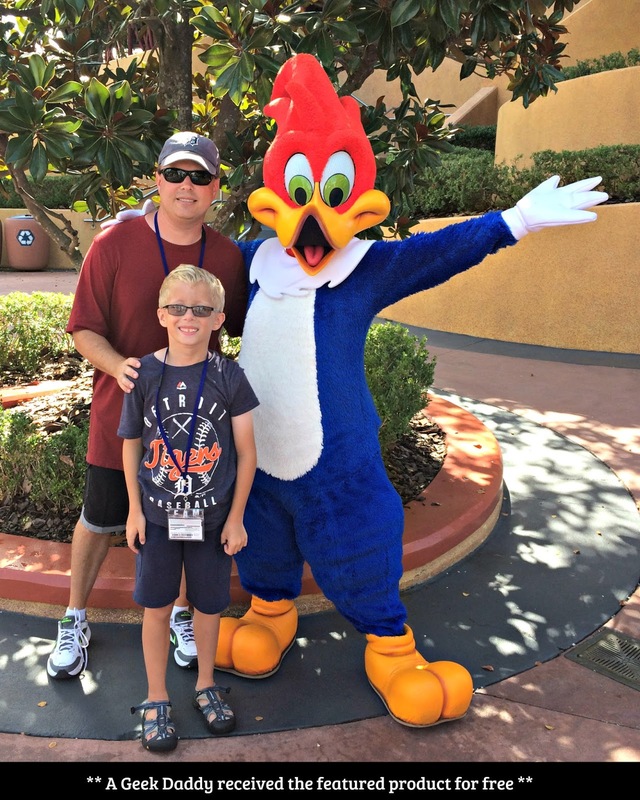 I was a bit shocked during a trip to Universal Orlando Resort that my kids had no clue who Woody Woodpecker was. I'd watched more cartoons featuring that mischievous little bird than I can count as a kid myself but the character hasn't received much attention for the last couple of decades. So I was excited to find out that Woody Woodpecker was making a comeback in an all-new movie being released straight to Cable On Demand, Digital Download, and DVD on February 6, 2018. Woody Woodpecker was created in 1940 by Walter Lantz as a cartoon short that was shown in movie theaters until it became a television show in 1957. "The Woody Woodpecker Show" has been broadcast in over 150 territories across the globe and in 105 languages in the more than 75 years since the cartoons first began airing on television. Generations of kids have known the unforgettable laugh of the little red-headed bird who is forever pecking his way out of trouble. Now a new film that blends live action and CGI animation is bringing back the wild adventures of this wacky woodpecker. Universal Pictures Home Entertainment kindly sent us the movie in advance of its official release date to enjoy for a family movie night. 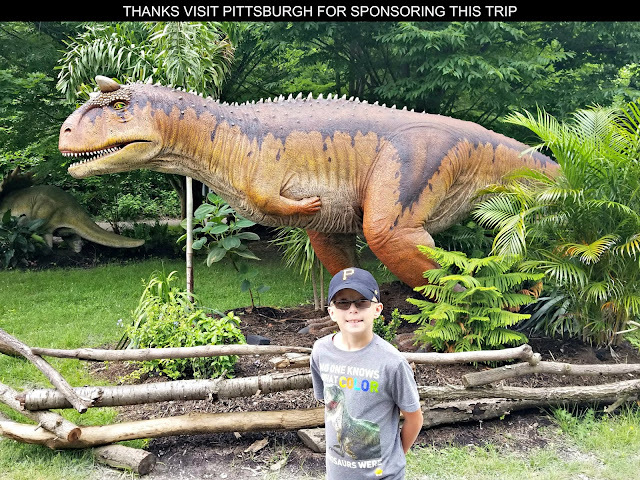 Both my son and daughter were intrigued to learn more about this character that I had hyped up to them since we ran across him while wandering around Islands of Adventure at Universal Orlando Resort. There were plenty of giggles filling our living room while viewing Woody Woodpecker's antics in this film about a crazy turf war between the prankster bird and a big city lawyer who wants to tear down Woody's home to build a mansion with a lake view. Directed by Alex Zamm (Inspector Gadget 2, The Little Rascals Save the Day), WOODY WOODPECKER is rated PG for action scenes, rude humor and language. Though it has a PG rating, from our experience viewing it there really didn't seem to be anything as a parent I'd find concerning or objectionable about letting a child of any age watch the film. 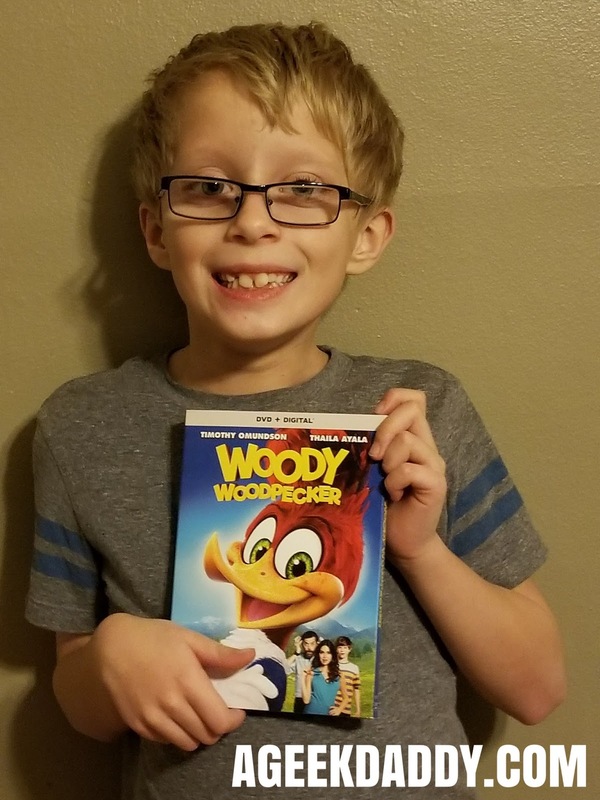 WOODY WOODPECKER is a nice movie that preschoolers, grade school kids and tweens will enjoy watching along with mom and dad for a fun family movie night. The movie stars Timothy Omundson (Galavant, Supernatural, Psych), Thaila Ayala (Rio Heat), Graham Verchere (Fargo), Jordana Largy (Monster Trucks) and Eric Bauza (The SpongeBob Movie: Sponge Out of Water) as the voice of Woody Woodpecker. 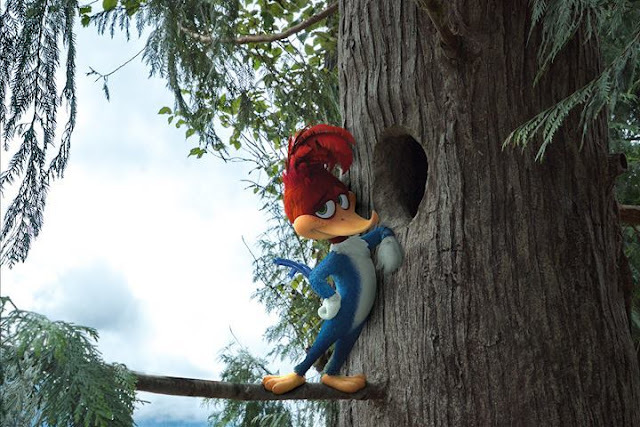 In his first ever live action / animated film, Woody Woodpecker must protect his forest home from Lance Walters (Omundson) who starts building a dream home in the forest with his son Tommy (Verchere) and fiancée Vanessa (Ayala). While engaging in this turf war, Woody must also avoid the clutches of two grizzly poachers. Will Woody's crazy hijnks sabotage Lance's mansion and foil the poachers? You'll be laughing along with Woody's trademark laugh as you find out! For more information about the movie, head over to uphe.com/woodywoodpecker. I haven't seen Woody Woodpecker since I was a little girl. He always cracked me up. Will definitely show my kids this movie to see if they are interested. I loved Woody Woodpecker when I was a kid! Saturday mornings rocked! I'm not surprised that kids today don't know who he is. I can't wait to watch this with the kids. Oh you have had the opportunity to introduce them to a classic. Woody Woodpecker was a cartoon we watch all the time. I remember watching that cartoon when I was little. Didn't know there was a movie. Wow, I remember this from when I was a kid!! I had no idea they were re-making it. I guess I need to check it out! I am going to have to keep an eye out for the Woody Woodpecker movie, I just about remember the cartoons from my youth. Omg do they know FRED FLINSTONE and The Jetsons? They were classics along with Bugs Bunny! So glad that Woody is cute in the movie. Sometimes when they bring them to life, they don't do a great job haha. OMG! I used to watch Woody Woodpecker as a kid. I haven’t seen that series in years. I would love to watch this with my kids and share one of my childhood faves. I had no idea there was a new Woody the Woodpecker movie. How cool! I bet my kids would enjoy this, and it would be fun to see the new version. I would love to go back to Universal Orlando Resort one day! 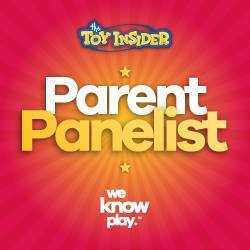 I can't believe they didn't know woody the woodpecker either. Woody Wood Pecker was a favorite growing up. Glad to see there's a movie for us to catch as a family. I used to love Woody Woodpecker as a child! I need to check out this movie too! I had no idea there was a Woody Woodpecker movie! We recently went to Universal Studios and my 5 year old fell in love with Woody! I need to check this out! My daughter also had no idea who Woody Woodpecker was when we were at Universal - and she was a bit old for the kids section, so we skipped it. We were sure to introduce her to other classics like Scooby Doo & Jetsons - thank you Boomerang network. I definitely grew up with Woody Woodpecker cartoons! That's cool that they are still making Woody movies, too. I grew up on woody! I can't wait to share this film with my kids!